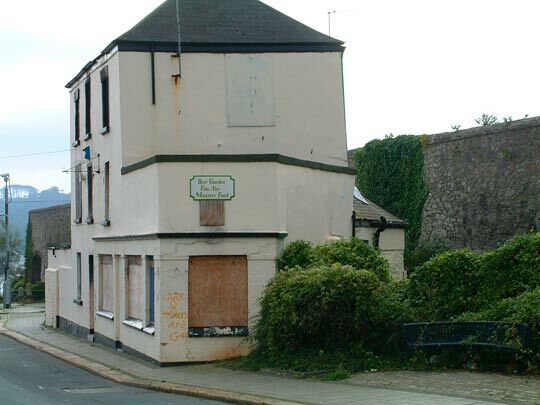 Immediately prior to its closure in 1995 the building shown below was known as the Little Mutton Monster public house; it was located at 240 James Street, Devonport. 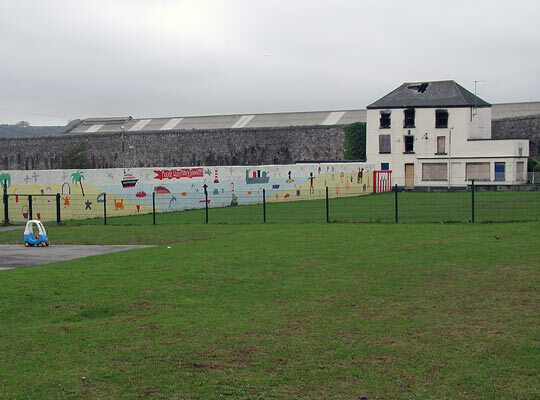 Above: The Little Mutton Monster in derelict condition at 2002, viewed from across the playing field of Mount Wise Primary School. The pub was known to have existed at least a century ago, in 1914, although it was possibly built earlier since that was the year World War One began. Local Directories for 1914 show Albert Robert Fletcher as the landlord with the name of the pub being New Pier Spirit Vaults. The address then was 63 James Street. Following World War Two the pub became known as the New Pier Inn; it may have been known as this prior to WW2, since the exact date of the name change is unknown. During this period the New Pier Inn was a popular lunch-time meeting place for naval and military personnel who worked at nearby Admiralty House and Hamoaze House. Such was the pub's popularity that in 1984 planning permission was submitted for the addition of a conservatory. Description: Alterations to public house and erection of conservatory. It is believed the name change, to The Little Mutton Monster, took place around the late 1980s early 90s, however, it appears to have been unofficial, that is, the new name does not seem to have been recorded or documented anywhere. The earlier name of the New Pier Inn is found on all planning applications right up to the time of the building's demolition. 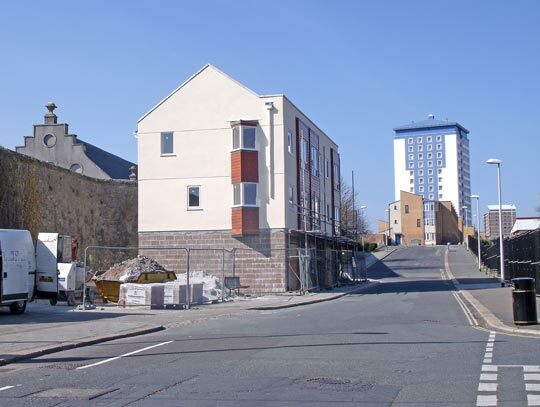 By the late 1980s early 1990s the Royal Navy and Royal Marines had retreated from both Admiralty House and Hamoaze House (plus the nearby naval married quarters upon Mount Wise hilltop were no longer in existence), and the pub, along with several other Devonport pubs of the period, became used less and less by service personnel. Consequently the type of customer changed. One of the last gigs, probably the last gig, to take place at the pub was a live performance by the band "Viv & The Sections" on 27th December 1994. Members of the group were: Dave Ahern on guitar & vocals, Paddy Morrissey on harmonica & vocals, John Lang on guitar, Roger Cornall on drums, Paul Smith on percussion and Chris Constantinou on bass. The group placed a short video of themselves on YouTube. Early in 1995 the pub closed its doors for the last time.The owner at time of closure was believed to have been Charles Barratt. 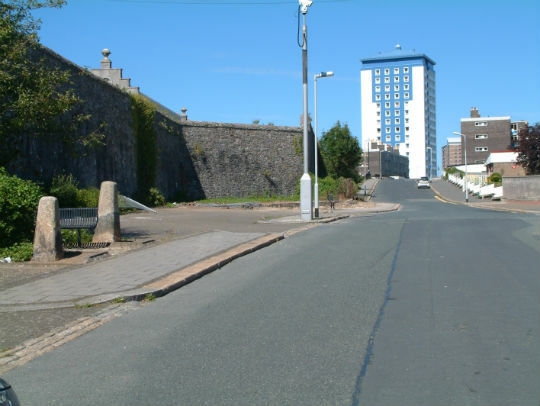 1995 was a period in history when Devonport was blighted, run-down and suffering from youth problems, crime and vandalism. Therefore it was no surprise to observe, now that the pub was closed for good, that it had been attacked by vandals, and set afire several times with emergency services being called out. It became a derelict eyesore. It remained in a decayed and delapidated condition from the time of its closure in 1995 until its demolition in 2004. Mike Timmins bought the plot as an investment, then applied to the council to redevelop and build three new houses on the site. At his first application Timmins was turned down since, at that stage, the city council wanted the pub building to remain, but once vandals started to ruin the empty structure they eventually reconsidered. After one year of ownership Mike Timmins submitted another planning application to demolish the New Pier Inn and replace it with three new houses. March. 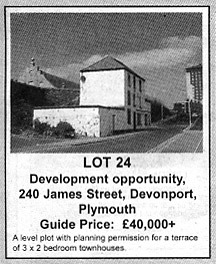 Planning permission granted to demolish the building and redevelop the site. May. 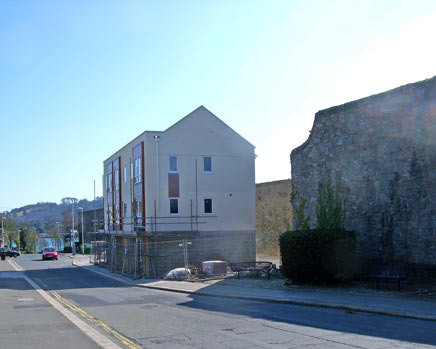 The New Pier Inn is offered up at Auction, at a guide price of £40k +, together with planning permission for a terrace of three 2-bed townhouses. 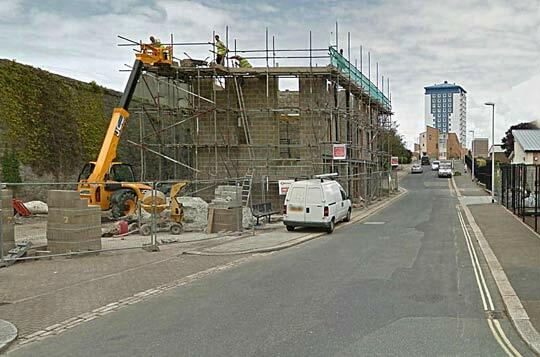 Having stood derelict for almost ten years the building was finally demolished. Following 2004 demolition the plot remained empty until 2012, occupied occasionally by a temporary Glass Recycling Bank. 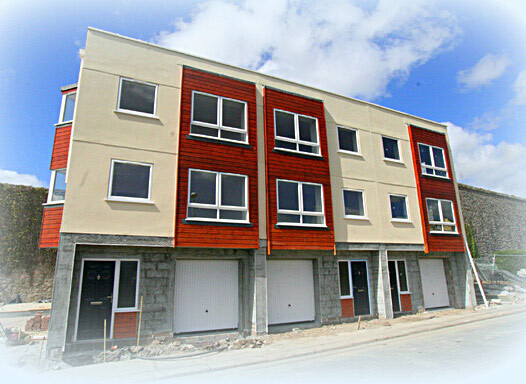 Build restarted - above is a Google image of build in progress, late 2012. Completed. The sales Open-Day took place mid-May 2013. Guide price £135,000 - £145,000.